How are you doing today??? Till I became one, I couldn’t understand a mother’s anxiousness about the welfare of her child. But now being on the other side, I have realized that being a mom is not easy, and like it or not you are going to worry about the welfare of your child. 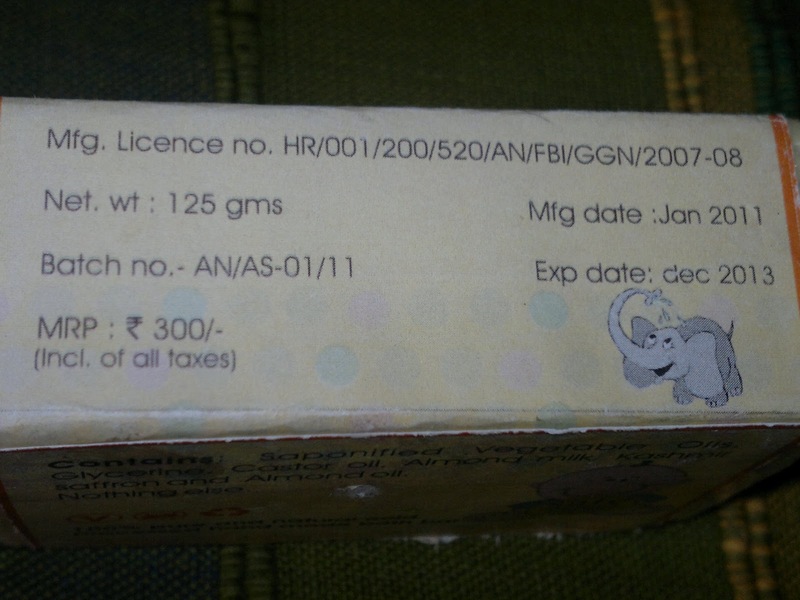 Being wary of using chemicals on my baby is one of them; most of the preservatives used in baby products contain potential carcinogens, which I prefer not to use on my baby. Recently, I was introduced to a baby bathing bar by the brand Omved (also shown here and here). 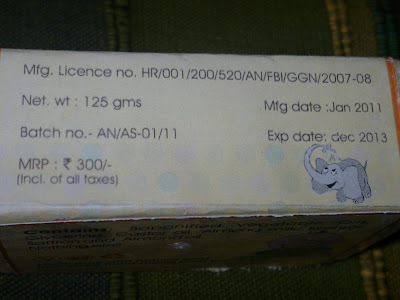 Price: INR 300 for 125 gm of the product. Packaging is basic but neat and effective. My experience has been awesome with this product. The bar is lightly yellowish on one side of the bar and off-white on the other side. The product smells faintly of saffron, and the strands which you see on the bar are actual saffron threads, which dissolve when you bathe your baby. 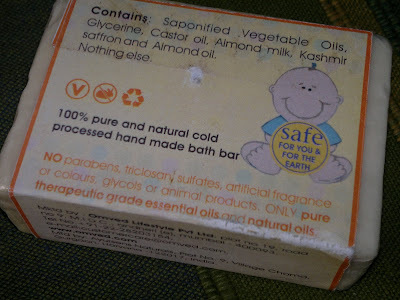 The bar lathers well and keeps my baby’s skin moist and soft in winters as well. There is absolutely no dryness. The goodness of almond milk and saffron has improved my baby’s complexion also. 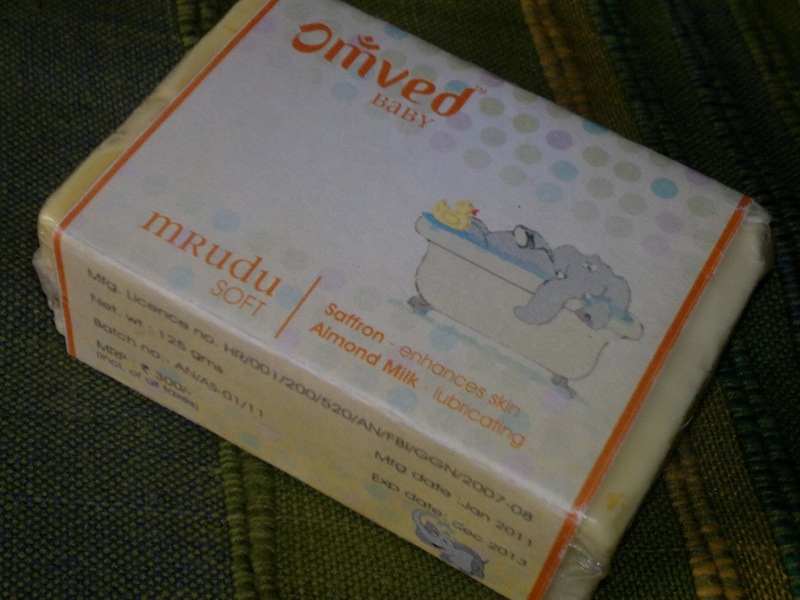 Since this has no preservatives or chemicals, I have found that the soap doesnot sting my baby's eyes as well. And they don't claim "no tears" also!!! Product rating: A, available at Omved store in Mumbai (wish they open a shop in NCR soon). Will definitely recommend this to all mothers. Try this you will definitely feel the difference. even I was surprised by this no stinging discovery, even though the Omved people don't claim so. Have been using it since 3 years now. 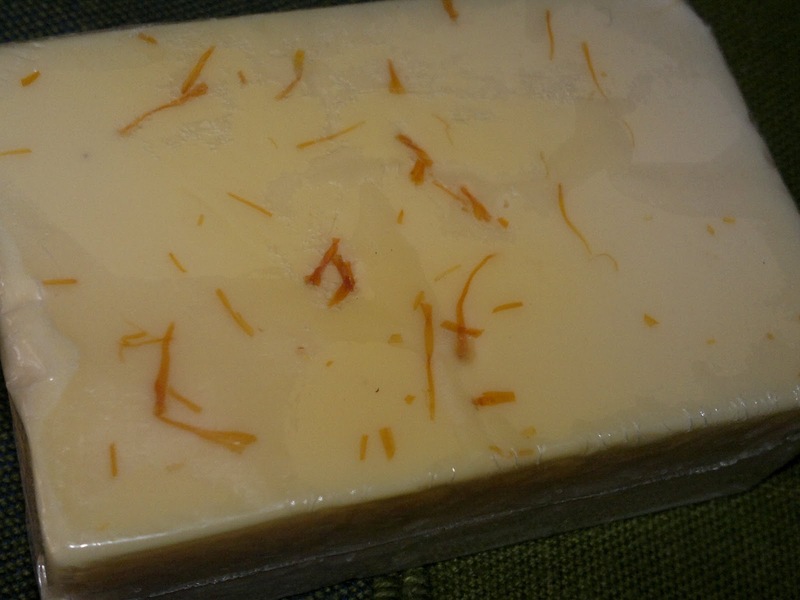 This soap is good and am not changing it, though I feel it is over priced as saffron is only on the top and not inside. This soap does sting btw.